The finalists for the 2010 Buckminster Fuller Competition challenging designers to come up with workable solutions to the world's most significant problems such as water scarcity, food supply, and energy consumption have just been announced, and as always we're thrilled to see this year's crop of innovative projects! They range from zero energy buildings to a solar college for women in India to a plan to rehydrate the great lakes. Here we present to you the six worthy finalists and their plans to fulfill Buckminster Fuller’s dream of bringing humanity back in balance with the earth. From a pool of 215 entries a panel of 11 judges narrowed them down through a series of eliminations to the final six. The winner of the challenge will be announced June 2nd at a ceremony at the National Press Club in Washington, DC and will receive a $100,000 prize in recognition of their work and to help them move forward. All of the finalists embody ideas close to Inhabitat’s heart and we salute them all for a job well done. Good luck in the challenge contestants, looks like it’s a tough race to enter! The only bad thing about the Buckminster Fuller Challenge is that only one proposal can win the grand prize. We need all these solutions to be implemented and more if we're going to save Spaceship Earth. Anybody who feels like there's no way to fix our battered and bruised planet, just visit bfi.org and check out the Idea Index. You will be amazed as I was. There's so much being done that the general public does not know about. If people knew they would get excited and support these efforts but our leaders and the media are not doing their job—unless that job is to maintain inertia, resignation, and the status quo. The finalists for this year’s Buckminster Fuller Challenge have just been announced and as always we are giddy with delight over the contestant’s projects. 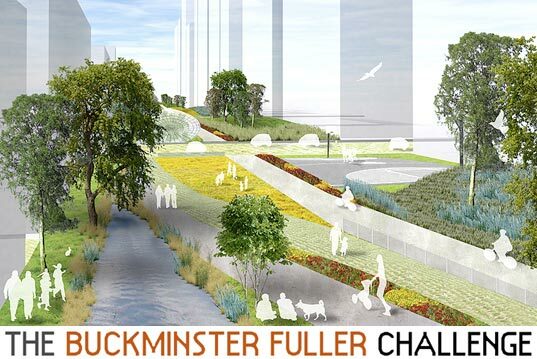 The Living Building Challenge embodies Buckminster Fuller’s message to the max. The Barefoot College is on a mission to replace kerosene with solar power in rural communities across the developing world. Operation Hope is dedicated to keeping Africa's savannas fertile. 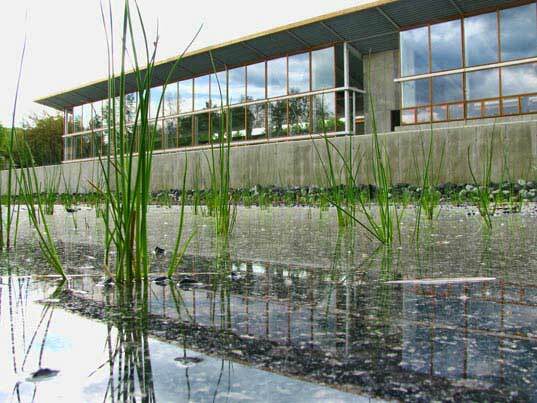 The Watergy Greenhouse project has brought living with nature to a new level. Farmshare has turned landscapes into foodscapes and makes urban gardening a partnership between consumers, producers and the earth.